Written in a wry, highly enjoyable and accessible style “Where’s My Oasis?” is extremely informative and has a unique, holistic approach, tackling every area of career management: both in the long- and short-term. 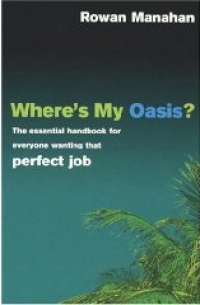 “Where’s My Oasis?” is not simply a straight text on drafting CVs and dealing with interviews, but addresses topics such as: defining your goals – determining where your strengths lie; coping with job-hunting stress; networking; and much, much more! This book is a must-have for everyone thinking of changing their lives.